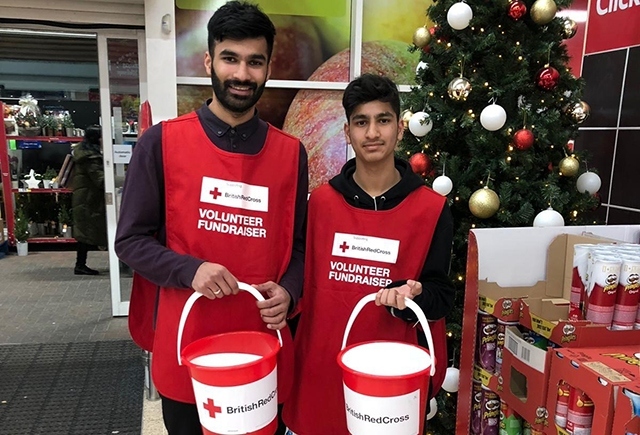 Oldham-based Ahmadiyya Muslim Youth started their festive activities by raising much-needed funds for the British Red Cross. The young volunteers were out in Oldham collecting for people in crisis all over the world. Ahmadiyya Muslim Youth volunteers were out in force at a special collection event at Tesco on Huddersfield Road yesterday (Wednesday). They collected in shifts to cover the whole day. Aqib Ahmed, from Ahmadiyya Muslim Youth Oldham, said: “As muslims, we have firm faith in helping others in difficult times.